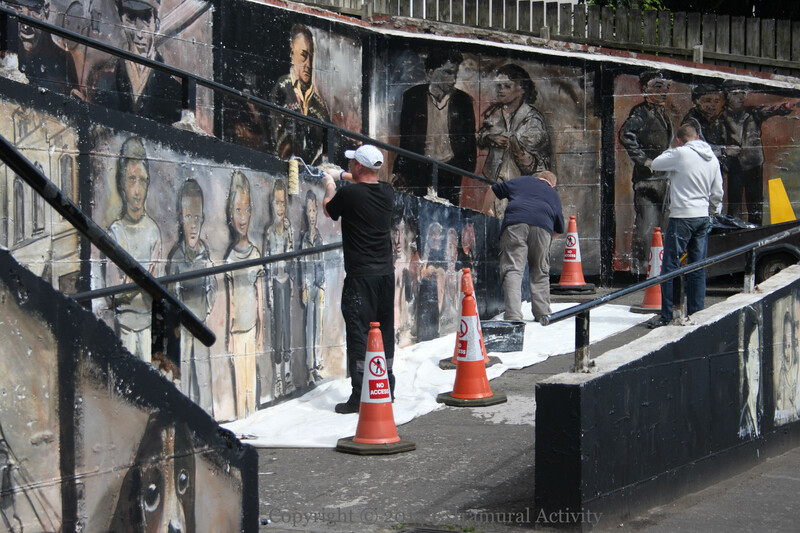 Here is a final set of images of the New Lodge community mural, painted by Ed Reynolds. 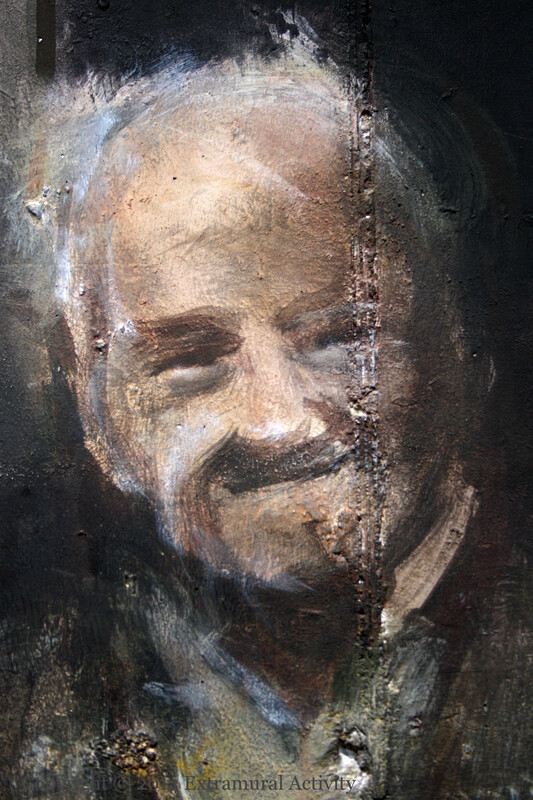 Above is a detail from one of the panels. 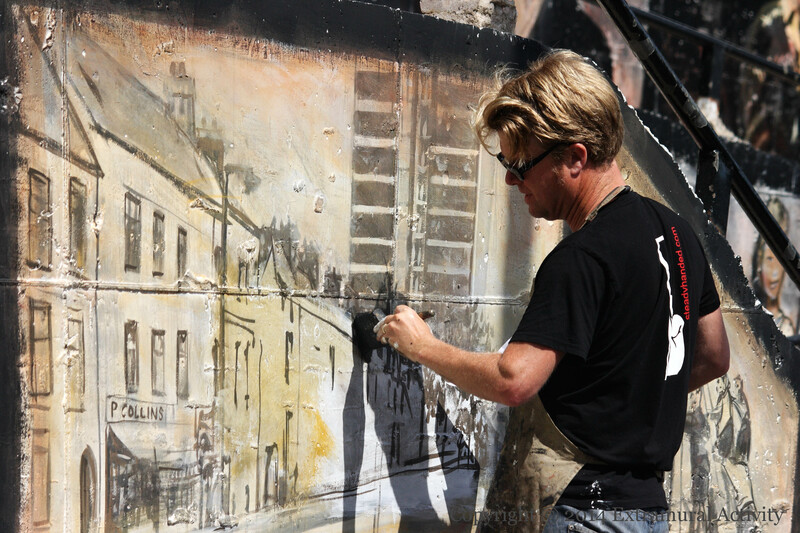 Below are a wide shot of the whole, a picture of Ed repairing the vandalism which can be see towards the left of the wide shot, and finally one of the crew covering the piece in an anti-graffiti varnish. More images of the work in progress can be seen at Ed’s web site, steadyhanded.com.